Mirror position/rotation animation tool written as modifier. 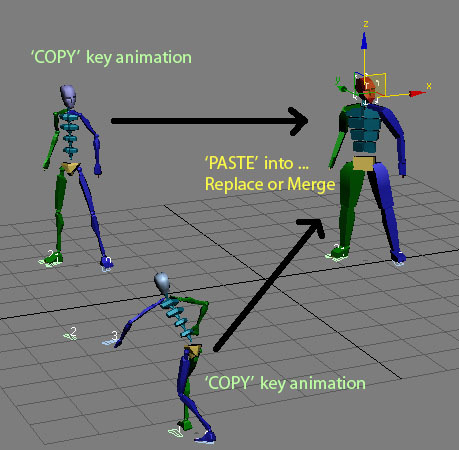 "This is a version of the Key Manager script originally by Randy Kreitzman. I modified it to work with TCB controllers instead of just Beziers. 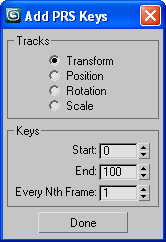 It allows you to change the tangent type - ease in/out and TCB settings for a bunch of selected Track View keys all at once (even on multiple controllers). You can also shift what is selected - and affect prev/next keys as well. 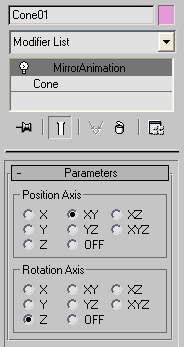 This script will mass assign controllers of almost any type to position - rotation or scale. Freeze and/or zero-out transforms on objects while keeping all existing controllers in-tact. This means any existing constraints, script controllers, expression controllers, noise controllers, etc., will still be there afterwards.